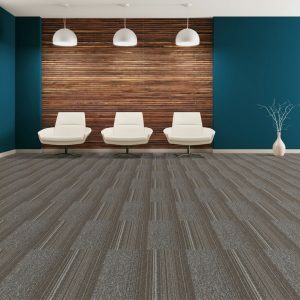 Ease of Installation– Depending on the type of installation, carpet tiles can be installed with double sided tape or a pressure sensitive adhesive. 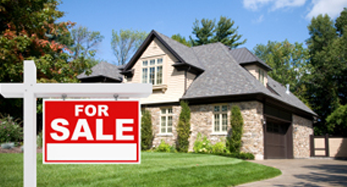 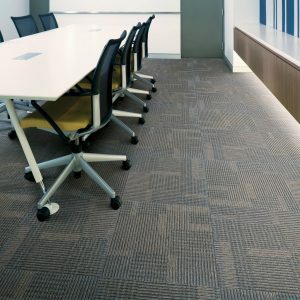 Carpet tiles come in workable sizes, usually 24’ x 24” squares or 18’ x 36” rectangles. 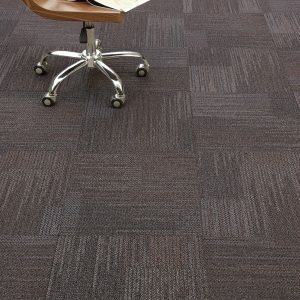 If need be one person is able to move the carpet tiles to and around the job site. 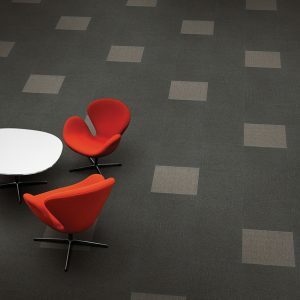 Tiles are easily cut with a sharp knife. 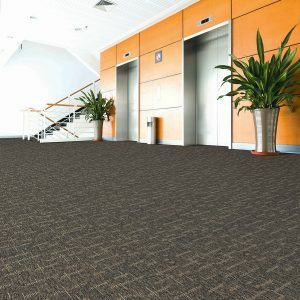 Durability– Carpet tiles are manufactured for high traffic areas and are extremely durable to withstand the wear and tear caused by heavy foot traffic. 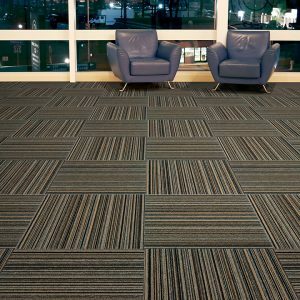 Many airports and sports arenas utilize carpet tiles. 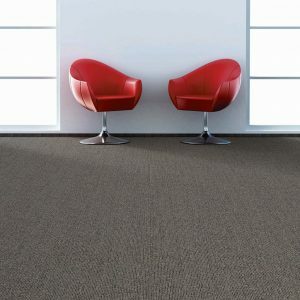 Ease of Maintenance– Routine maintenance of carpet tiles does not differ from regular commercial broadloom. 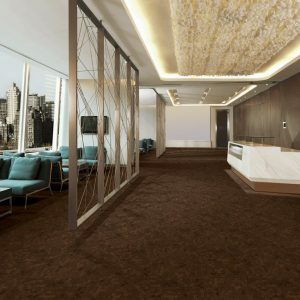 A regular maintenance schedule of vacuuming and steam cleaning is all that is needed. 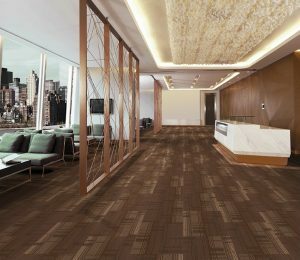 The advantage of carpet tiles over broadloom is that an individual tile can be taken away if it gets deeply stained and can be fitted back once the stains get washed off. 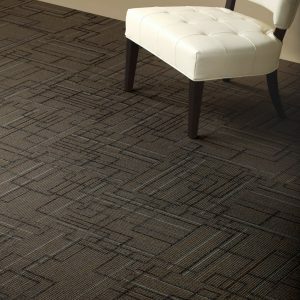 Or you can replace the soiled/damaged tile with a new tile. 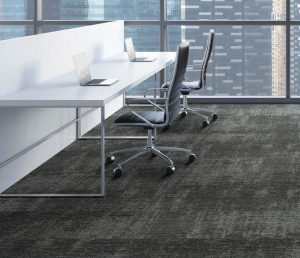 Creativity– Broadloom carpet is all one uniform colour, but carpet tiles allow for mixing and matching colors for a unique design, making it a popular choice for professional designers. 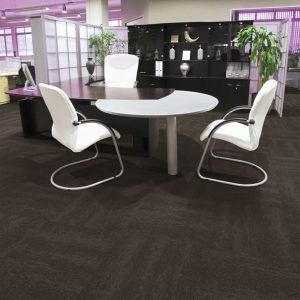 Business owners can choose carpet tiles that match your organization’s image and logo. 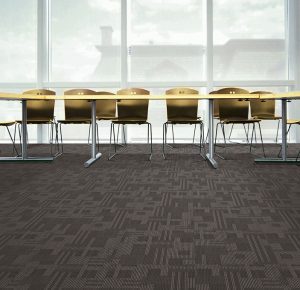 The design possibilities are only limited by your imagination!